Anyone working in IT knows that there are usually enormous amounts of whitepapers available to help you install, configure and run a new system or software suite. The fun more than doubles when the whitepapers start conflicting themselves. But even when they’re crystal clear, sometimes you run into a different problem: budget! With all planning and designing done, sometimes the budget or the purchased equipment does not allow you to follow ALL best practices to the letter, or at least make it a bit more challenging. In this example there’s the need to span a storage pool across DAE 0_0. Recently I ran into an environment with a couple of VNX5700 systems that were attached to the front-end SAN switches with only two ports per storage processor. The customer was complaining: performance was OK most of the time but at some times during the day the performance was noticeably lower. Analysis revealed that the back-end was coping well with the workload (30-50% load on the disks and storage processors). The front-end ports were a bit (over)loaded and spewing QFULL errors. Time to cable in some extra ports and to rebalance the existing hosts over the new storage paths! 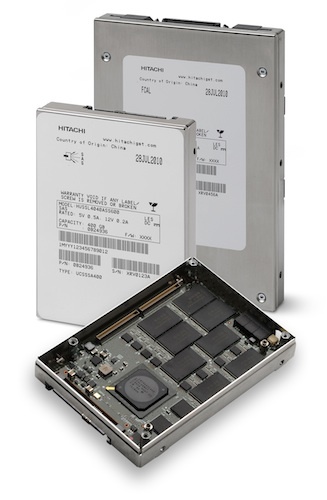 Welcome to the (mini-)series on VNX Performance and how to leverage SSD in a VNX systems. You can find part one on skew and data placement over here. The second post discussed the improvements for FAST Cache in VNX OE 32. This third and final post will discuss some of the ideal use cases for SSD in a VNX. This is the second post in a (mini-)series on VNX Performance and how to leverage SSD in VNX systems. You can find part one on skew and data placement over here. This post will dive deeper into the FAST Cache improvements that have been added in VNX OE R32. The last breakout session I attended at EMC World 2013 was titled “Leveraging SSD: Designing for FAST Cache & FAST VP on Unified Storage”. By far one of the best breakout sessions of the week for me: technical and I can apply it in the field on pretty much a daily basis! But let’s start at the beginning: first you need to figure out your skew! What? !